PHILIPSBURG--Residents of Philipsburg, including "Mr. Butterfly," "Puffer," "Blacks," "GT," beach attendants and the Dollison family observed some 100 sea turtle hatchlings making their way from Great Bay Beach up to Boardwalk Boulevard between Thursday night and Friday morning. These Hawksbill sea turtles hatched and emerged from a nest on the beach and under normal circumstances would have been attracted instinctively by the reflection of the moon on the water and would have headed to the open ocean. 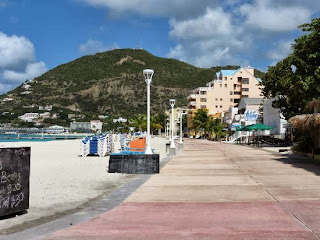 However, the bright lights on Boardwalk Boulevard disorientated the hatchlings, causing them to head in the wrong direction which would have exposed them to dehydration, fatal fatigue or predation by birds, cats, dogs, etc., according to St. Maarten Pride Foundation. The alert residents rescued the sea turtles by collecting those headed inland and placing them in a large bucket filled with seawater. They called Pride Vice President Rueben Thompson for advice on how to proceed. On arrival in Philipsburg, Pride representatives and residents of the area released the turtles along the shoreline and ensured that all hatchlings made it to the water safely. The nest site was located, inspected for additional hatchlings and those found were released into the ocean. The Hawksbill hatchlings in question surely would have met an untimely demise if residents had not opted to take action. Pride Foundation commended the persons mentioned for their vigilance and willingness to give Mother Nature a helping hand. Pride urges government and the private sector to work closely with environmental organisations such as Environmental Protection in the Caribbean (EPIC), Nature Foundation and Pride to reduce sources of light pollution along the country's beaches, particularly Great Bay Beach, immediately, as there are potentially several more nests that will be hatching within the coming weeks. Proper management of sea turtle nesting beaches is a critical step in efforts to save endangered sea turtle species, the foundation said. Sea turtles are protected under the Nature Conservation Ordinance of St. Maarten and the Sea Turtle Convention of which St. Maarten is a signatory, making it illegal to kill, injure, catch, pick up, possess, directly or indirectly disturb their habitat or to carry out other acts that disturb or harm sea turtles. 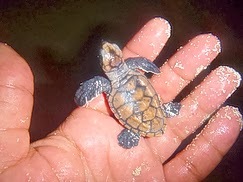 Residents are encouraged by Pride to contact environmental organisations immediately whenever sea turtles are observed on the country's beaches.